More than 60 pro-Brexit Tory MPs have written to Theresa May insisting the UK makes a clean break with the EU. The letters says the UK must not be stopped from negotiating trade deals with other countries once it leaves the EU, and must gain full 'regulatory autonomy'. It was sent by the European Research Group of Tory backbenchers, headed by Jacob Rees-Mogg, and was signed by Stone MP Sir Bill Cash and Walsall North MP Eddie Hughes. Critics have accused the Prime Minister of being 'too weak' to confront the hard Brexiteers in her own party. The letter supports the vision for Brexit that Mrs May set out in her Lancaster House speech in January 2017, including leaving the customs union and the single market. But it says she must ensure the UK can change its laws without authorisation from the EU from the moment it leaves in March 2019. The MPs also insist the UK must be 'free to start its own trade negotiations' during the planned two-year transition period. And it urges the UK government to resist EU efforts to set the timetable for Brexit negotiations. "The UK should negotiate as an equal partner. Ministers may not want or be able to accept the EU's timing and mandates as fixed, and should be able to set out alternative terms including, for example, building an agreement based on our World Trade Organisation membership instead," it says in the letter. Labour claimed the letter 'exposes the deep divisions that run through the heart of this Tory government'. Shadow Brexit minister Paul Blomfield said: "It is clearer than ever that Theresa May cannot deliver the Brexit deal Britain needs. "She is too weak to face down the fanatics in her own party and to deliver a final deal that protects jobs and the economy." Former Lib Dem leader Tim Farron said it appeared the Prime Minister had 'one arm tied behind her back by the Tory militants who are now nakedly acting like a party within a party'. It came ahead of tomorrow's crunch cabinet meeting where ministers are expected to thrash out an agreement on how to proceed in negotiations with the EU. The UK wants a mechanism to object to new European legislation introduced during the implementation phase. 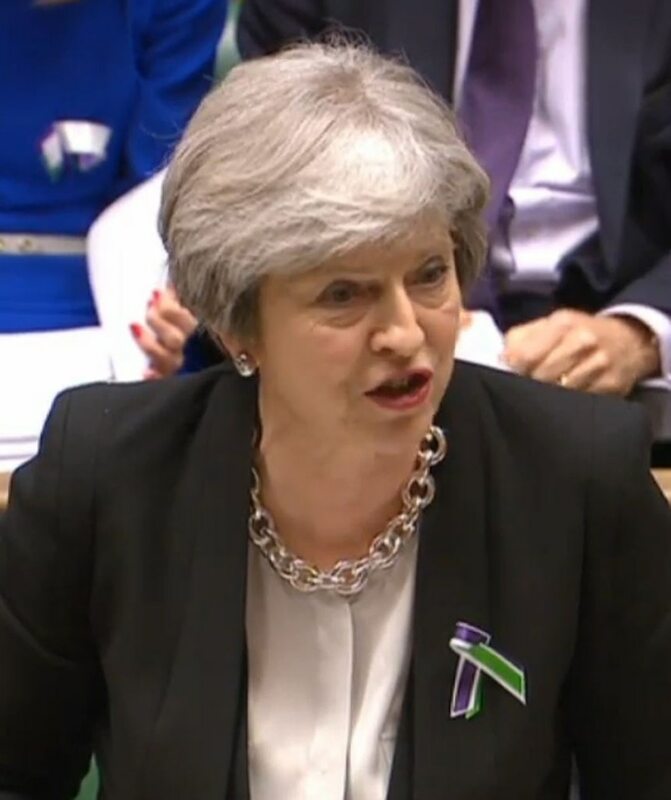 The Prime Minister had suggested that EU nationals who arrive during the transition period should not have the right to settle permanently in the UK.